Starting your own business is a big risk, so finding any level of success is an achievement. 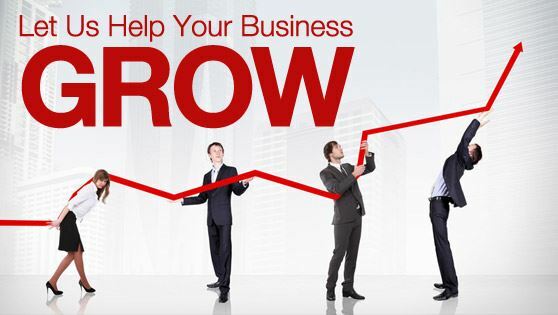 However, here are 10 ways to encourage your business to grow even further. Once your business starts to find success, you might find that one premises simply isn’t enough. Opening a second location is a sure sign that your business has well and truly found its feet, but of course it isn’t a decision to be taken lightly. Make sure you budget clearly, plan ahead with a business plan and choose a location that’s best for your business overall, not just convenient for you. Companies like Glenhawk provide commercial bridging loans which can give you the means to open a second location quickly. If you’re keen to franchise, be sure to start networking within the franchising community and find a good attorney and mentor to help you through the process. You need to be open to growing and expanding your vision, but you should also keep your key goal in focus at all times. By licensing, you can receive upfront royalties from the use and sale of your product if it’s successful. It also minimises your risk and is relatively low cost. Make sure to take your time and do your research when finding a licensing partner. Align yourself with a similar type of business, as this can be a powerful way of expanding quickly and effectively. It’s important to look at the bigger picture, as for some businesses the idea of shelling out commissions for the sake of an alliance can be unappealing, but aligning effectively can open your business up to a much wider audience. Diversifying is an excellent strategy for growth as it allows you to acquire multiple streams of income and means you always have something to fall back on. Some of the most popular forms of diversification can include selling complementary products and services, importing or exporting your or others’ products, becoming a paid speaker or columnist, and teaching adult education or other classes. If you have already mastered your own industry, it is always worth looking into expanding to other areas which you could make a mark in. Every market has several other markets which complement it, so be smart in your choices and consider a wider horizon. Just make sure you aren’t spreading your company too thin. One of the best ways for small businesses to grow is to have the government as a customer, so explore the option of working with your local offices. This can earn your business both publicity and respect, depending on who you find who might be interested. It might seem like a lot of work, but it can really be worth it. If your company isn’t performing as well as you would like but you don’t want to give up on it completely, you could consider merging with a similar business. This can give you a new level of success, as well as a new lease of life. Alternatively, if you are really reaching new heights with your business, you always have the option of buying out competitors. Most businesses start off as local. After some time, you might expand to be a national company, so the logical next step after this is to take your business overseas. You’ll need a lot of support and a firm knowledge of foreign markets, but it can be very rewarding. The internet has quickly taken over all of our daily lives, including the way most businesses are run, so it makes sense to use this to your advantage. Boost your social media presence and create a lot of online content to get you noticed on the web.